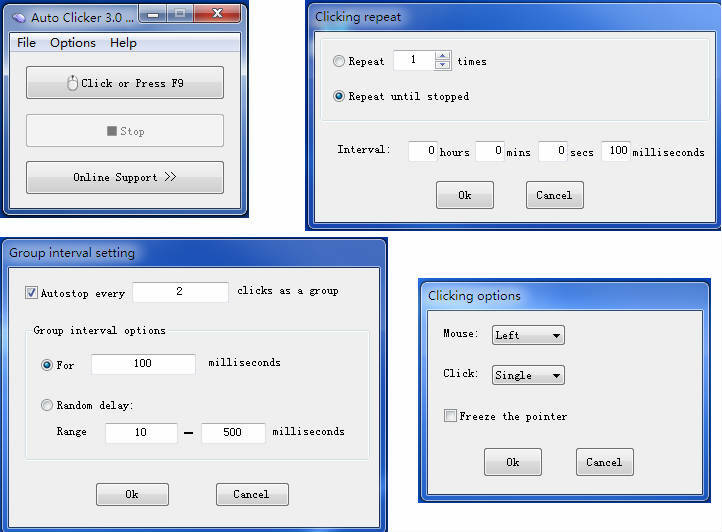 You can choose to automatically click your left , middle and right mouse button, set the interval at which the clicks will occur, set pauses between clicks, automatically stop after a desired ammount of clicks. Tanix: does it works in online? like M.U? Tony: nice, simple, clean software. A question though - how can it be configured to click indefinitely until stopped (rather than a specifc number of clicks only)? MoMo: can i type while this one is working? ?.? micko: i want to give flowers to my female character, abd i wawnt i fast..
Bessame: This is super cool ! I use this is GARENA if i cant enter in full room s ! Bobbe: My Sister tried and liked, so I am trying also.